The Zero Balancing Wellness Center is dedicated to providing the highest quality of skilled, conscious touch for clients to find the optimal balance of body, mind and spirit. Owned by Mary Murphy, the ZB Wellness Center has been serving clients on the North Shore since 2008. Mary has been practicing therapeutic bodywork since 1981. Mary is a certified Zero Balancing teacher and practitioner and licensed massage therapist. She works with adults and children of all ages and stages of health. Her goal is to support the deep wisdom of the body to help clients release unresolved stress, maintain harmonious balance and adapt to changes, using Zero Balancing in an integrative approach to address individual needs. With Sheila McCarthy-Daskovsky, she opened the Zero Balancing Wellness Center in 2008. And in 2012 became the sole owner. In 1993, she began the study of Zero Balancing and recognized that this very special, profound form of bodywork would become the central core of her bodywork practice. She has been studying and practicing Zero Balancing every since, certifying as a practitioner in 1996, serving as a certification mentor for the last 16 years, and in 2004 joining the Zero Balancing Health Association Faculty as a certified instructor. She teaches beginning and advanced Zero Balancing courses and has taught in teacher training programs for new and practicing ZB faculty members. She is very honored to have served on the Zero Balancing Health Association’s Board of Directors since 2005, including serving as Chairman of the Board from 2009-2013. She now serves as vice president and Board of Director member of the Zero Balancing Touch Foundation, the international non-profit wing of the Zero Balancing worldwide community. Mary received a BA from Georgetown University in 1977. 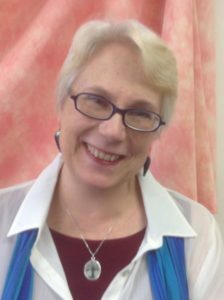 She has been practicing bodywork since 1981 when she began the study of infant massage which led to a focus on the gentle approaches to balancing the body through Therapeutic Touch, Polarity and MariEL energy release techniques. She became certified in massage therapy at the Chicago School of Massage therapy in 1990. She has trained extensively in multiple bodywork methods including certification at the Diplomate level of CranioSacral Therapy, certification in NeuroMuscular Therapy and additional studies in Brain Therapy, Visceral Manipulation and Manual Lymph Drainage. All of these methods inform her work as a Zero Balancer. In 1998, she became one of the first therapeutic bodywork practitioners on a multi-disciplinary team at Advocate Medical Group’s Center for Complementary Therapy on the campus of Lutheran General Hospital in Park Ridge, IL. She supervised the Center’s Therapeutic Bodywork division and taught in the medical residency program. She has been a presenter for the Upledger Institute and an adjunct faculty member at the Soma Institute, National School of Clinical Massage Therapy presenting introductions to CranioSacral Therapy, Zero Balancing and business practices. She has taught in professional bodywork programs locally and nationally. Her passion is sharing the practice and study of Zero Balancing with others. Since childhood I have been fascinated by the fields of energy we encounter, encamp in and encompass within and around ourselves. Each of us is constantly engaged in aligning our selves with all the fields around us and with the universal quantum field. Sometimes we feel connected, in flow and in harmony within our lives and relationship. Other times, we find the stresses and challenges of our lives cause us to feel out of sync with our deepest self. The study of Zero Balancing for me made perfect sense as it is a concrete way to contact and balance the energy within the human body which allows the body to return to the coherency, ease and inherent balance. In ZB, we touch the bones and other tissues of the body to release held tension, held energy, trauma, congestion in a way that provides gentle release and integration on many levels. It helps us to come home. In other words, Zero Balancing allowed me to come home to myself in profound, vitalizing and transformative ways. This is what Zero Balancing can do for you too. I believe that underneath our conditioning and surface level tensions, we are multi-dimensional spiritual beings having a physical experience. In my bodywork practice my goal is to see with the eyes of the soul, listen and respond from the heart and support the highest good of every client. As a member of the Zero Balancing community of practitioners, I found myself in the company of some of the finest manual therapists and wonderfully engaging human beings I have ever known. Working and learning with practitioners who understand that the energy of the body can be used as a working tool to evaluate and balance how that energy flows through structure is an endlessly fascinating study for me. I am intensely grateful to have become more available to myself and to others through the practice of Zero Balancing. I am awed by how it opened up my capacity to be with and witness client’s journey through life with clear, respectful boundaries and deep attention, honoring the transformation that naturally occurs. It is a profound joy to witness how ZB has made people feel lighter, taller and more grounded. I know how it has increased my delight and stamina for my work as a practitioner and activist promoting the awareness of Zero Balancing’s benefits for bodymind health and well being. The Zero Balancing Wellness Center is the “go-to” place for Zero Balancing in the Midwest. It is a great service that Mary offers. Mary has a heart of gold and it is a gift to be in one of her classes or receive a session with her. Among Mary’s many gifts is her embodiment of the visionary archetype. Should you have the opportunity to work with her as a client, student or colleague, you will be touched by her compassion, clarity and ability to enlighten your own path of healing and personal growth. Lisa BergerZB Teacher, Lic. Ac. The ZBWC is a place for rejuvenation, healing and education.